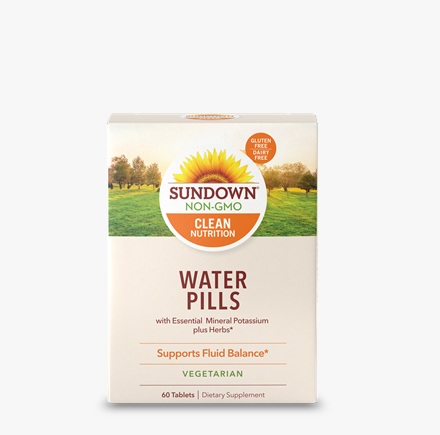 Water Pills, 60 tablets (Sundown Naturals) - Penn Herb Co. Ltd.
Sundown Natural's Water Pills contain gentle herbs and the essential mineral potassium, which works with sodium to regulate the body's water balance. For adults, take 1 tablet up to 3 times per day with food. NOT INTENDED FOR USE BY PREGNANT OR NURSING WOMEN. See PDF Label facts for additional warning.